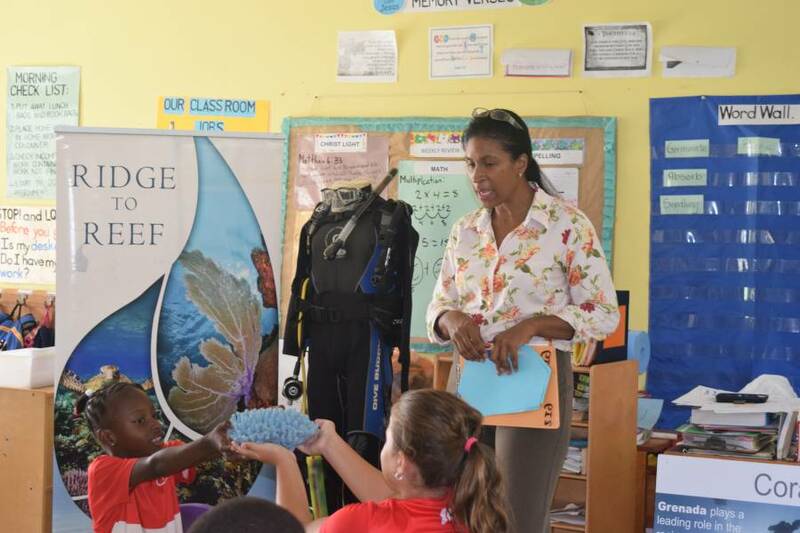 The GEF/ UNDP Ridge to Reef (R2R) Project journeyed to the Grace Lutheran Church and School of Woodlands in its continuous drive to raise public education and environmental awareness about enhancing biodiversity and sustaining ecosystems across Grenada. Organised by Grade 2 class teacher Donessa Belgrave, the project was invited to visit the school along with Aria St Louis, Head of the Environment Division of the Ministry of Climate Resilience, the Environment, Forestry, Fisheries, Disaster Management and Information. This educational outreach visit, during the “Week of Professions” hosted by the school, was to highlight the exciting roles and career opportunities in the field of marine biology in particular. During the visit, St Louis and Ridge to Reef Project Assistant, Hannah Coutain, engaged the attentive students in discussions and other activities about the topics of marine biology, environmental protection and conservation, climate change resilience and the impacts of human activity on Grenada’s marine ecosystems. The students were intrigued to learn of the integrated nature of land and marine ecosystems, pledging to play their part to conserve the ecosystems. The youngsters were also very eager to volunteer answers to questions about ways that they can help to conserve marine ecosystems, such as through reducing their use of disposable plastics and recycling. Through their interactive engagement with the students using three-dimensional display models, posters and other marine ecosystems learning tools, the profession of marine biology was brought to life within the classroom. The Ridge to Reef Project aims to ensure that biodiversity and ecosystems functions within and around marine and terrestrial protected areas in Grenada are better protected from threats through the adoption of an integrated “Ridge to Reef” approach. This approach increases protected area management effectiveness and applies targeted sustainable land and coastal (and sea) management practices, while ensuring ecosystems resilience to climate change. 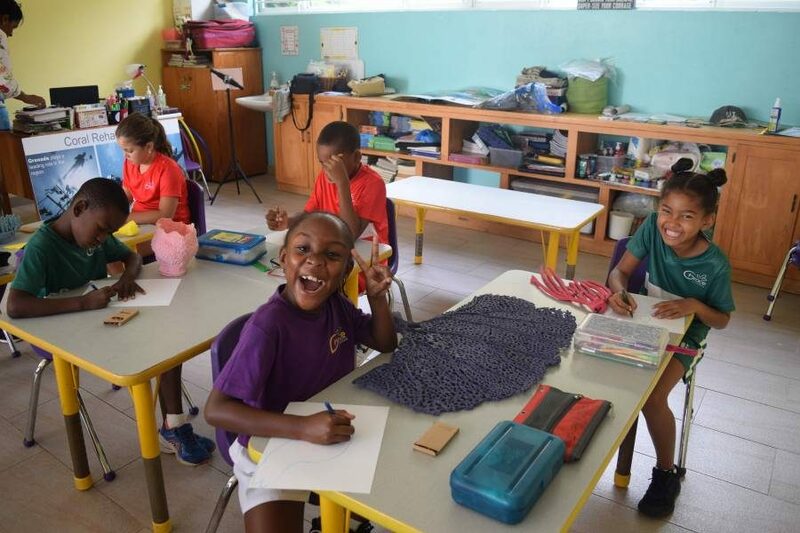 Hats off to the staff and students of Grace Lutheran Church and School as they contribute to the cadre of Grenada’s future marine biologists!